It’s no secret that the Nintendo Switch has quickly become an Indie darling. With so many games releasing every single week it can be hard to keep up with what’s good and what’s not. 11 bit Studios has just announced they’re bringing more games to the Switch, and they all look pretty spectacular with a diverse range of gameplay mechanics and graphical styles. The four games include: This War of Mine, Beat Cop, Moonlighter, and Children of Morta. Watch the video to see each of them in action! This War of Mine is a gripping survival game inspired by real-life events, in which you do not play as an elite soldier but as a group of civilians merely trying to survive in a city under siege. Test your decision making skills and emotional resilience to the limits when This War of Mine launches on Nintendo Switch in November. Releasing as the Complete Edition, the game will contain every free expansion and paid DLC released so far as well as all the content to be released in the future. This War of Mine launches on Nintendo Switch in November in cooperation with Koch Media / Deep Silver. Beat Cop is a retro, pixel art style adventure set in New York City and inspired by 80’s cop shows. You are Jack Kelly and you’ve been framed for murder. Now, as a regular beat cop you have to find out who set you up. Expect a thick crime story, a lot of black humor and many other seedy things you might find on the hardened streets of Brooklyn. Beat Cop launches on Nintendo Switch in Fall 2018. 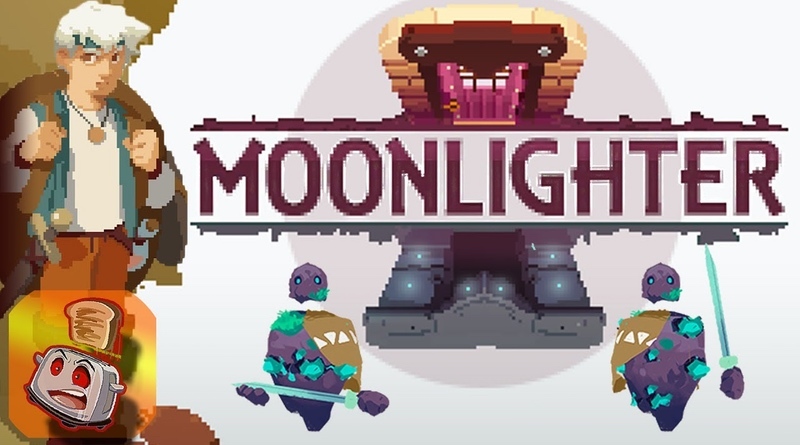 Moonlighter, by Digital Sun Games tells a story of an adventurous shopkeeper with dreams of becoming a hero. In this action-RPG with rogue-lite elements, you’ll have to stay sharp to take care of business – not only with a sword but also quite literally, as you manage your own shop. Coming to Nintendo Switch this Fall. In Children of Morta you hack and slash your way through endless hordes of enemies in this narrative-driven roguelike. Playable in either single player or co-op, experience what it means to be part of a family of heroes as they fight to defend their legacy and each other. Children of Morta comes to Nintendo Switch in early 2019. This War of Mine and Beat Cop are being forged for the Nintendo Switch by the friendly team at Crunching Koalas. Warsaw-based, they’re excited to work alongside their friends at 11 bit studios whose offices are only a short 5 minute walk away! Moonlighter and Children of Morta are being switched to Switch by their respective devs teams. Retail distribution partner for This War of Mine is Koch Media / Deep Silver.